When overdubbing in an orchestral setting, the artist is usually listening to a pre-recorded track while playing his or her part of the score. To better hear the pitch and tonality of the instrument, the artist will often remove one side of the headphones by pulling it away from one ear. 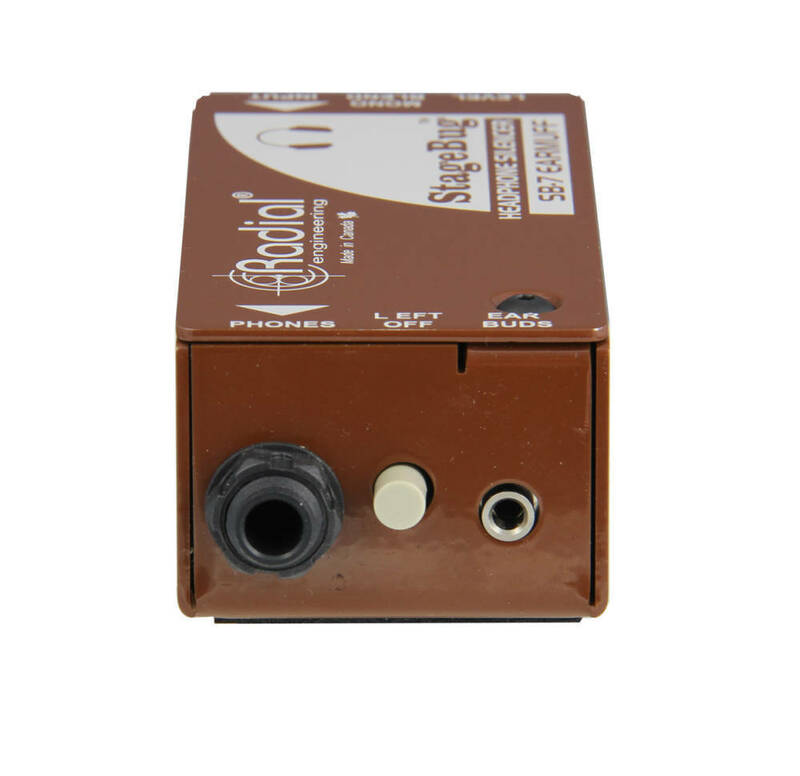 In doing so, the headphone level is increased to compensate and this in turn, causes sound from the open phone to bleed into the recording microphone, contaminating the mix. This is a common problem when recording violins, flutes and other orchestral instruments. 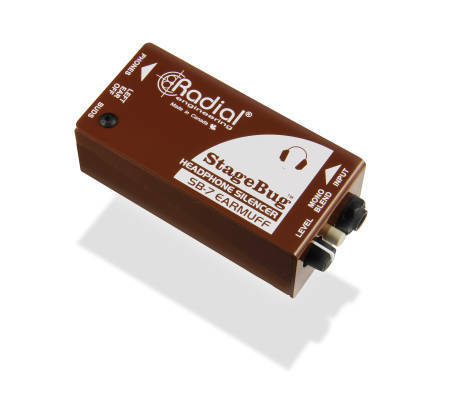 The Radial StageBug SB-7 Earmuff is a compact device that solves the problem by enabling the artist to turn off one of the phones, thus eliminating the bleed problem altogether. The design begins with a 1/4" stereo TRS input on one side that accepts a standard headphone mix along with a level control. 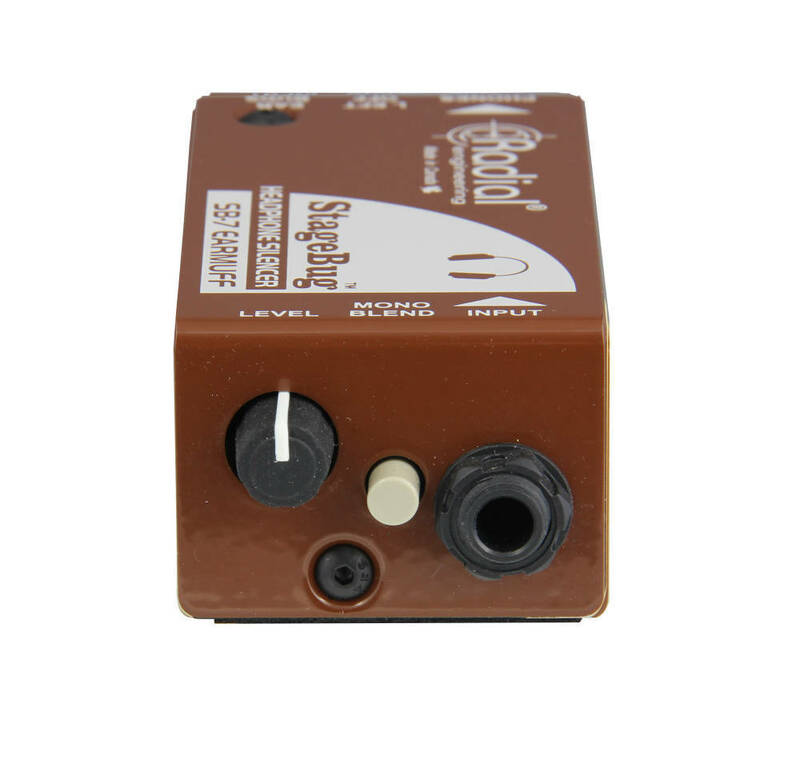 On the output side, a choice of standard 1/4" headphone or 3.5mm (1/8") ear bud outputs provide instant connectivity without the need of a special adaptor. A mono switch enables the artist to sum the left-right stereo playback track to mono so that all instruments are routed to both sides of the headphones. Then, depressing the 'off' switch mutes the left ear of the headphones to eliminate bleed while leaving the right side unaffected. One simply adjusts the on-board level control to suit. Because the SB-7 Earmuff is completely passive, no power is needed nor will it introduce any distortion or artefact into the signal path. Plug it in and it is basically ready to go. 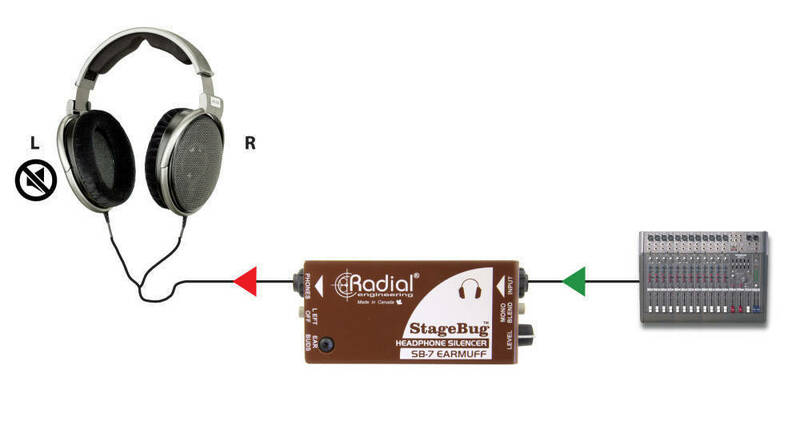 Compact, easy to use and affordable, the Radial StageBug SB-7 Earmuff provides a simple, yet elegant solution to a long standing problem. Description: Radial president & CEO, Peter Janis, explains the SB-7 Earmuff.